Description: This detail of Lee County shows railroads, county boundaries, wetlands, cities, towns, villages, post offices, lakes, and rivers current to 1900. There are 33 railroad lines listed on the main map, as a guide to the numbering. 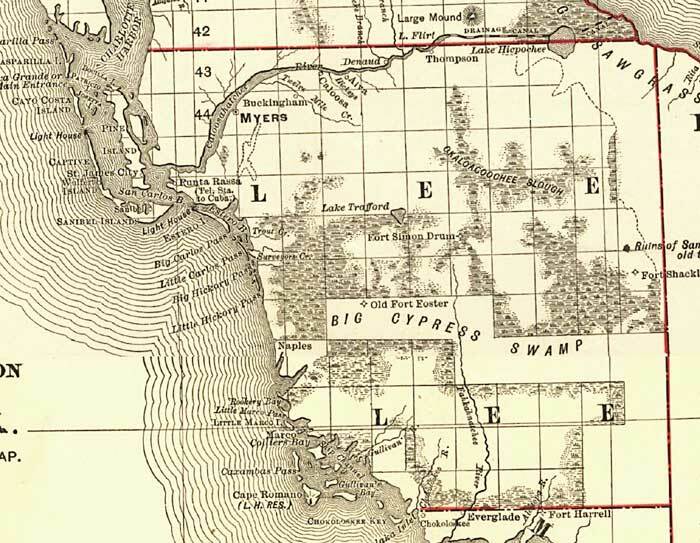 The map was a pocket guide to Florida's railroads. Features in this detail include Denaud, Fort Myers, and Naples.